Fly High Boise Idaho Adventure Park is the top thing to do near you! We attract jumpers from Eagle, Boise Hills Village, Meridian, Kuna, Mayfield Star, Hidden Springs, Mora, Sonna, Napa, and other surrounding cities. Fly High offers great activities for families and friends of all ages. 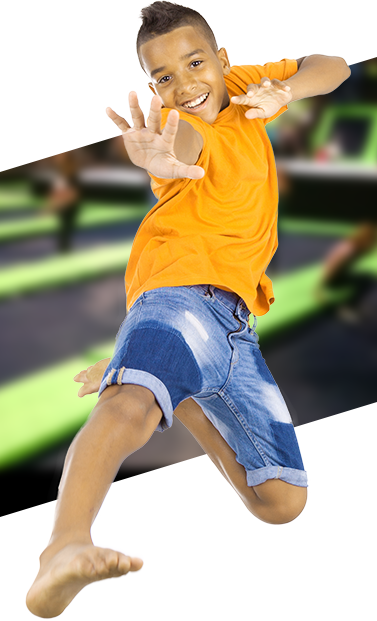 Try flips, tricks, and stunts with wall to wall trampolines, wipe-out, drop zones, basketball, foam pits, air bags, parkour, super trampolines, Olympic trampolines, kids courts, nets course, nerf arena, and more! Birthday Party packages are available to book online now. Fly High is voted Best Kids Birthday Party Venue year after year. Come see what everyone is talking about. Come Celebrate with us At Boise! Fly even higher on our launch pad.